How much does making a video cost? Overwhelmingly, this is the most common question we get. It’s a tough one to answer. 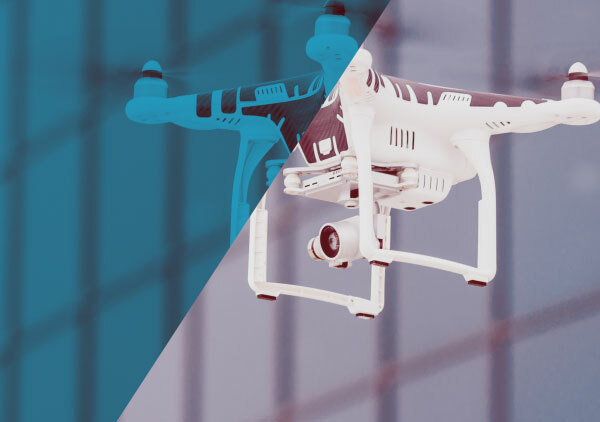 Producing a video is an important investment for any company, and finding the right solution needs to be handled with care and attention to detail. We know that’s not a very helpful answer. That’s why we’ve created this master guide to budgeting for video. We want to walk you step by step through the process of getting, and understanding accurate quotes and proposals from video production companies. How to read and evaluate proposals from agencies and/or production companies. What cost drivers for video are, and why competing video production proposals may vary significantly. Why is video pricing so complicated? How much does a video cost? Well – it’s all based on your goals and your expectations. 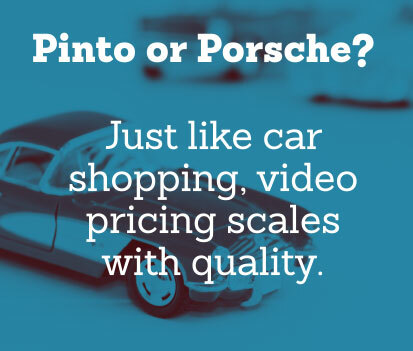 A Porsche has a different price point than a Pinto. A complex multi-location shoot with special effects and 3d animated characters has a different price point than a “talking head” video where the owner of the company does all the talking. Simply put, there are some video productions that are more expensive to produce than others. Technical difficulty, creative direction, and a host of other factors all contribute to the cost of production, but don’t worry. We’ll dive into cost drivers for video production a bit later on. If you’d like to get a feel for some of the factors that affect video pricing, a video production cost calculator like this one can help illustrate the variables affecting price. That said, use these tools with caution. They ask you to make assumptions and decisions about your project that require technical expertise and industry specific knowledge. They may also contain outdated pricing and equipment, and may not accurately represent regional production costs. How to start budgeting for video production. Okay, so you understand why a one-size fits all quote doesn’t work for video, but how do you actually get started? It all comes down to something called a project brief. A project brief answers the question “Why are you making a video in the first place?” and gives vendors a baseline for submitting proposals. The project brief is a short document that helps you and your potential video production partners define the scope of your project. A good brief will define the business goals for your production, and serve as a guideline to keep the project on target. With a project brief in hand, potential vendors will be able understand your needs, and present solutions and project scope. How to build your project brief. The number of videos and their length. The format of the video if you know it. i.e. Corporate interviews, animated explainer video, etc. Include anything you know, but don’t worry if you’re not sure. Describe what you need to communicate. Clarify how you will evaluate the success of the project. A successful video production for business has predefined Key Performance Indicators. If you have some ideas about style or visuals for your video production, share them as well. Reference videos are good for this. 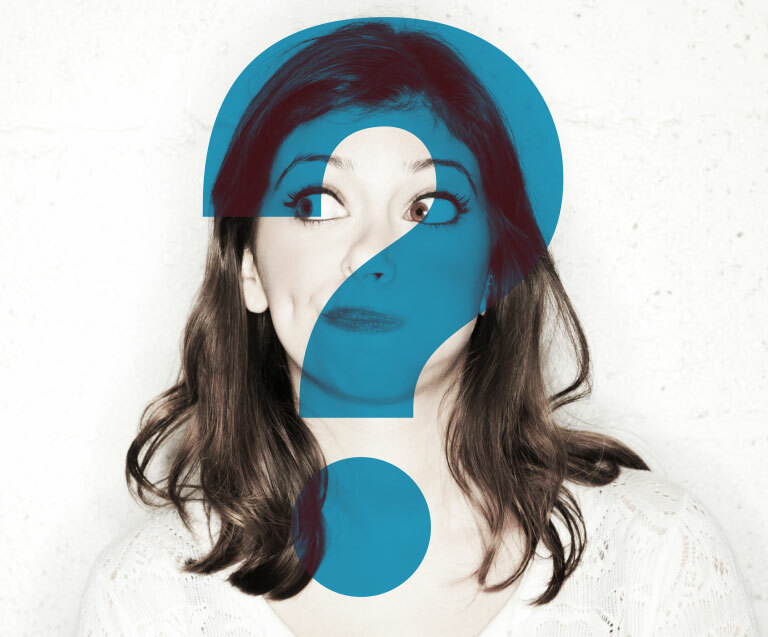 BUT remember that creative concepting is part of what you’re hiring a video production agency to do. Try not to get too caught up in this aspect of the brief. Remember, if you have any questions while building your brief, this is a great time to solicit input from vendors or agencies you are considering. They will likely have useful information about what to include in your brief, and asking questions is a great way to get a sense of how each company operates. Submit your Project Brief to any companies you are considering. Submitting your brief to several companies can allow you to see a range of solutions and approaches. It can help you narrow down the list of candidates with whom you want to meet. Meet with potential video production partners before making a decision. Once you’ve got a short list of potential partners, it’s usually a good idea to meet face to face with a few companies before you make your decision. These are the people who will be communicating your message, representing your brand, and potentially developing your brand image or persona. See examples of their work that reflect the specific approach they will be proposing. With more information, your partner may be able to refine the proposal, or narrow down a price range. If you already know your budget, sharing it with potential partners can help you make a better decision. This will help a potential partner focus in on only the solutions that fit your budget. Sharing your budget gives you a more realistic impression of what you can get for your money from each company and allows you to control for price when comparing production companies. Creative is directly related to budget. That’s why it is Best Practice to develop concepts with a budget range in mind. 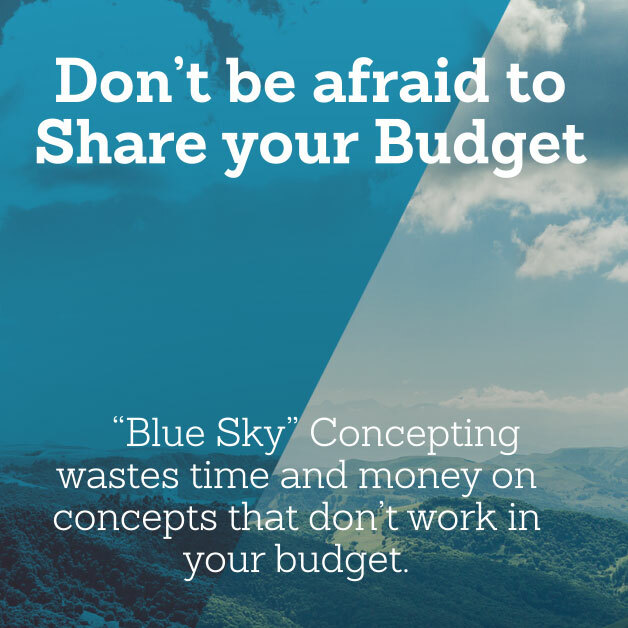 “Blue sky concepting” potentially wastes time and money by developing concepts that are impossible, given your budget. Why test drive a car you know you can’t afford? Even if you’re not willing to share an exact number, consider giving an estimate of what you consider is your realistic ballpark budget range. If the company you contact can not work in your budget, they may be able and willing to offer you other options, suggestions or recommendations. A good proposal shouldn’t just be about pricing. It should include information on what solutions the agency recommends for your project, and about what you’ll be getting for your money. An hourly rate, usually with an estimate of how long the project will take. The planning capabilities of those involved may also vary, and may impact delivery date and final billable hours. This type of quote gives an exact figure you will be charged for the production. Check to make sure the scope is very well defined. Hard quotes, especially early in the process, can be a sign of a “canned” one-size-fits-all approach to video projects. An estimate range gives a budget range from low to high. This is common when your production partner will be providing creative direction for the video. A firm should provide a range of concepts, which may have different hard costs. Estimate ranges allow for some flexibility in the ideation process, while still giving you reliable and realistic budget predictions. You may also get an estimate range when production variables make pricing hard to define up front, for example, if schedules mean there is a variable number of shoot days, a range helps to account for that difference. With an opportunity to continue the conversation, additional information can narrow down a realistic budget. Caps are really just another form of estimate range, but it looks different on paper. 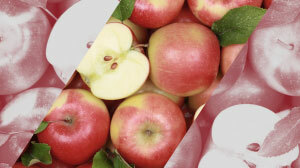 In this type of estimate, a “not to exceed” price for your production is specified. This is common if you know your budget going into the project. If you’re having difficulty making up your mind or understanding something in your proposal, don’t be afraid to pick up the phone. Your potential partners should be ready and able to walk you through the numbers and even make adjustments based on your conversation. Remember, it’s not just about the bottom line. A “Pinto” may be the cheapest option available, but it’s probably not going to be the best value. Be sure to look for information about what work is included in the final price. Even quotes based on a starting budget aren’t pure apples-to-apples comparisons. You may get quotes that are all over the board and be left scratching your head as to why. Consider the following general cost drivers that may be behind the price variations you see. This is good news if you’re shooting interviews, BUT good talent is almost always worth the money when it comes to quality. 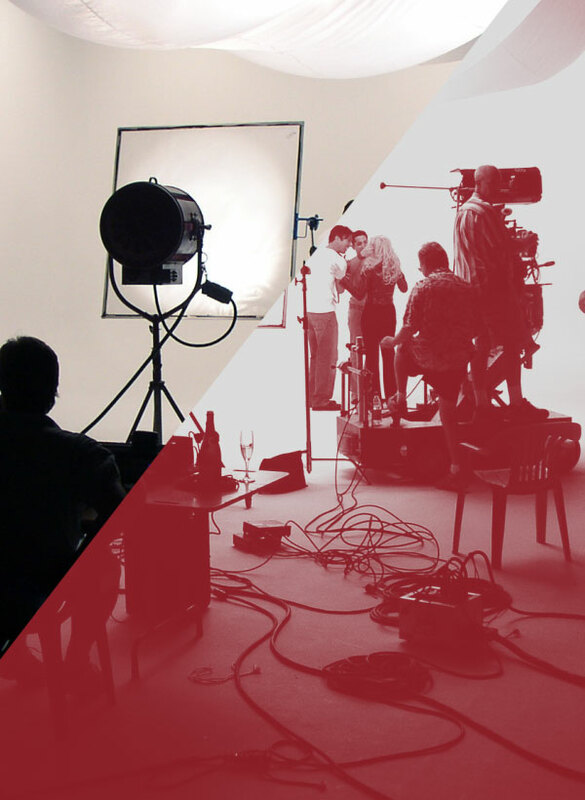 Keep the costs down by limiting the number of actors and actresses in your video. Licensing rights (per video, per actor) are another consideration. Typically talent agencies are not willing to negotiate unlimited usage. If they do negotiate, you’re going to pay high dollar, so it’s important to have an idea of how you want to use the production, where and for how long. If an actor speaks directly to the camera for your brand they’re often considered a spokesman/woman by talent agents and that rate will be typically be more than an actor delivering lines to another actor. Ask your production partner for help in determining what, if any, technical complexity is involved in your project. It doesn’t matter how good your video is if no one knows it exists! 7. Can you repurpose the video? Perhaps sections, cut-downs or footage may be created for either later use for other videos or types of videos, social media, blogs, presentations, etc. Read and understand what you are agreeing to and your responsibilities. The SOW should mirror your understanding or what is included in the production/s as well as the cost or estimate range. The commitment for the final delivery date is important. If there’s a company you really want to work with, but the budget just doesn’t work, it may be worth waiting. Producing a low quality video can be worse than having no video at all. This is a reflection of your image and your brand, quality and commitment to your customers. Building an appropriate and comfortable budget from the start of production will give you a much better experience, and much better results.